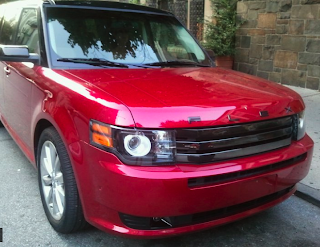 What better time than the Fourth of July to test out a bright red Ford Flex? It's a show-stopper of a car that's ideal for road trips. 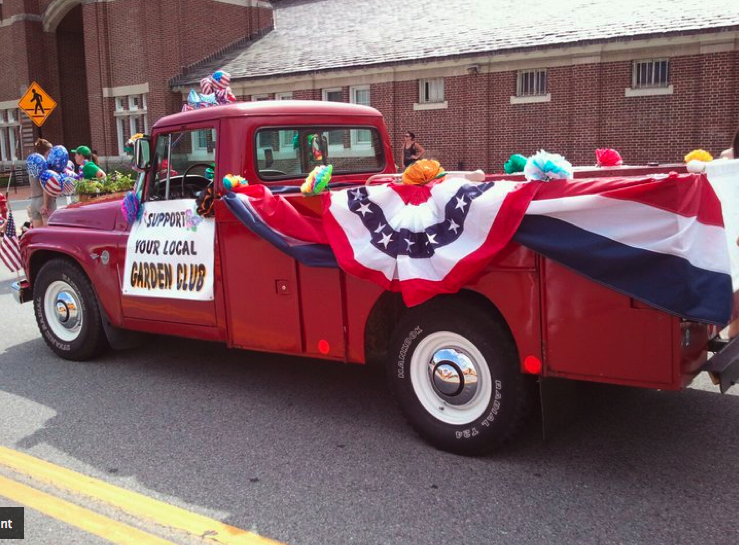 Everywhere I went, I got compliments on it—I particularly enjoyed the cheers I got driving by a group of soldiers after a small town Fourth of July parade! The car feels like an update on a classic truck. Its exterior is modern, and its interior, while having top of the line technology, including Microsoft Sync system to hook up your smart phones, has a vintage vibe. I particularly liked the silver-edged analog clock. The Microsoft Sync system works via Bluetooth. Once it's hooked up, you can make phone calls, play your iTunes or listen to Pandora. Word of warning: your incoming calls will be announced, so don't hook up the Bluetooth if you have something to hide! All of these functions are also available via a firewire cable hook up as well. The car comes with built in GPS. The Ford Flex is surprisingly easy to drive for such a large car. It has a parking assist that helps you parallel park (something I did not attempt to do) as well as a rearview video display, similar to the one on the Lincoln MKX. My biggest complaints about the Flex are that it's hard to figure out how to fold down the seats to allow passengers access to the third row. 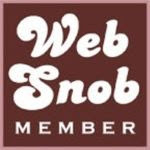 (My guy compared it to a opening a parachute.) And, that last row of seats is so tight, you wouldn't want to put adults back there for a long drive. 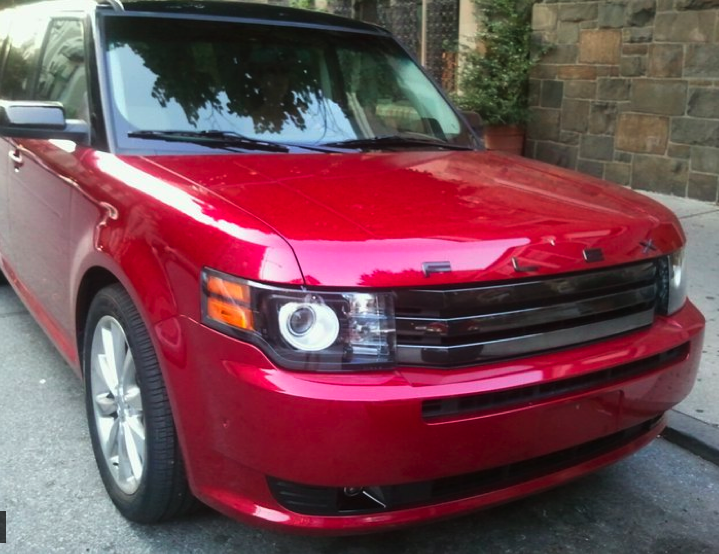 If you're looking for a car that's fun to drive and will get you noticed, the Ford Flex is for you.